Hyatt Place is an all-suite hotel dedicated to making life on the road convenient and comfortable...whether you're here for a day or two, or several weeks. 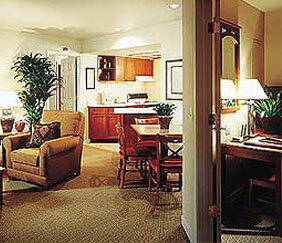 At Hyatt Place each bedroom has a private bath, television, and a separate phone line with private voice mail! Spend just one evening in your very own living area with TV and videocassette player and you'll realize that there can be life on the road. If you're traveling with associates, it's the perfect place to work or hang out-a comfortable option you won't find just anywhere. Fresh coffee in the morning, ice anytime, a quick snack-little things that make a big difference when you're on the road. The kitchen is an added bonus for all. For those staying awhile, the fully-equipped kitchen provides additional variety as well as cost savings. Teamed with grocery shopping and restaurant delivery services, there's an option to meet any need. 3 Rounds/2 Nights in a 2-Bedroom for 4 players BEST DEAL! Lower twilight rates also available w/advance tee time. *Early morning tee times @ Troon North. The above SAMPLE RATES are for weekday (Monday-Thursday) play. Weekend play at courses in the Scottsdale area will be slightly higher. 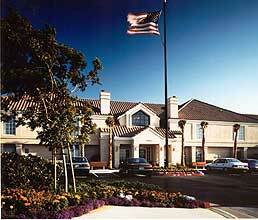 We can taylor your golf stay as needed! 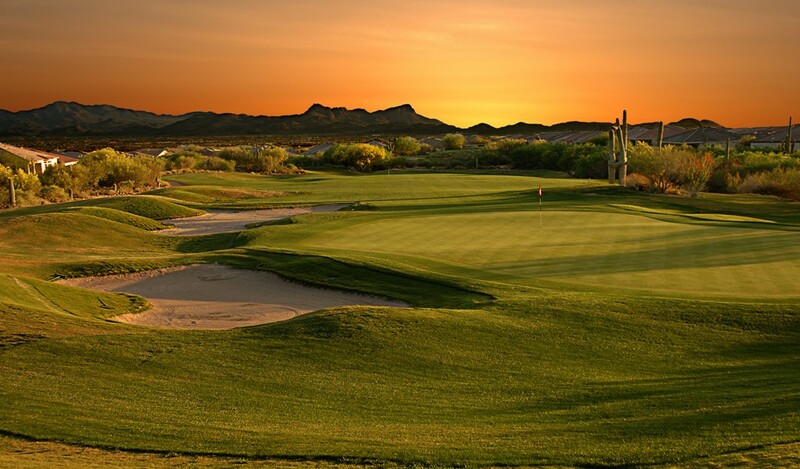 Since its opening in 1990, Troon North has become recognized as the Sonoran Desert’s most acclaimed golf destination. Both courses at Troon North offer outstanding designs that blend naturally with the “lay of the land” in the heart of the high Sonoran Desert. The Monument course, designed by the team of Tom Weiskopf and Jay Morrish, is the #1 rated public course in Arizona and Golf Magazine has rated it #6 in the country. 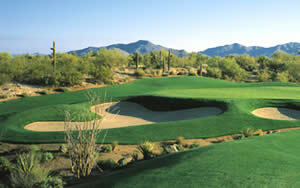 The Pinnacle course is a tom Weiskopf design that opened in 1996. It carries a rating of #3 in Arizona and Golf Magazine has rated it #30 in the country. 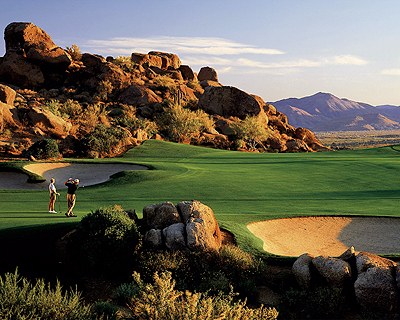 The hallmark of desert golf and named one of the “Top 10 Public Golf Courses in Arizona” by Golf Digest. This magnificent par-71, 7,216-yard Stadium Course was designed by Jay Morrish and Tom Weiskopf expressly to serve as the stage for the PGA TOUR’s legendary FBR Open. 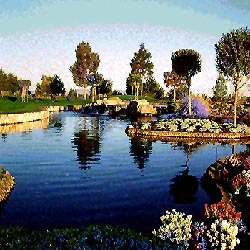 Beautifully defined with bunkering, elevation changes, water features and desert landscaping. 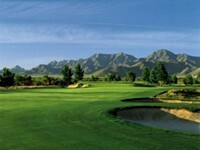 Although it's classified as a desert course, it's not target golf and is pretty player-friendly. It's more parkland or links-style as opposed to true desert target golf. Designed by Jay Morrish, the South Course is a slightly a little more narrow than their North Course. Both courses are very similar in desert terrain and offer challenging play. Desert wildlife will be wondering through the cactus and desert brush so keep your eye out for some really amazing southwestern views. 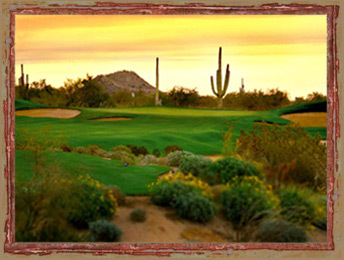 Designed by Jay Morrish, the North Course is built right into the desert foothills and framed by ancient saguaros. Known for its rugged beauty and challenging play, each hole is a scenic wonder and desert wildlife is often seen darting into the rough. Designed by Tom Fazio, is host to the 1998 Anderson Consulting World Championship Tournament. 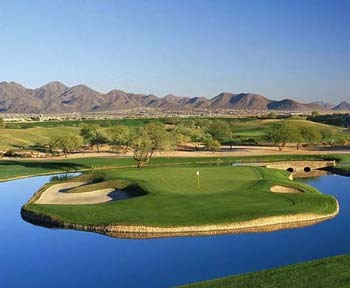 Among Raptor’s unique features is the 165-yard, par-3, 8th hole, which features a slightly hidden green and beautiful view of the McDowell Mountains. The 10th hole, which features a creek, runs from left to right in front of the green, which then flows along the right side of the fairway to a large lake near the tee. 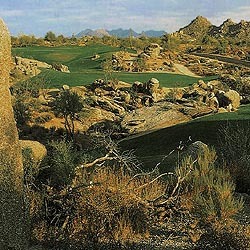 Designed by David Graham and Gary Panks, was the first Grayhawk course built. Talon Features two lakes and water that comes into play on the island green of the 17th and 18th hole. A stunning five-level waterfall, unlike anything ever built in Arizona, separates the 18th hole from the 10th hole. Designed by Scott Miller, this course is located in the southeastern foothills of the McDowell Mountains and is an innovative departure from the "target" style courses constructed in the desert in the recent past. Its layout takes advantage of a variety of land features: rolling hills, ridgelines, lush valley and washes, with a backdrop of prominent mountain outcroppings. In many instances, long extended views into untouched desert landscapes and area landmarks, such as Camelback Mountain, will be afforded. It is a strategic design, which asks the player to make choices relative to skill level. Currently one of the top golf courses in Arizona, the Dinosaur Mountain course takes golfers farther into the desert environment, where a round of golf is exhilarating with spectacular vistas of the scenic Superstition Mountains. Ken Kavanaugh designed this course, which meanders through rugged yet beautiful terrain and invites golfers into a picture-postcard environment that challenges their game. The challenge and mystique of Gold Canyon will bring you back to play again and again. Designed by Scott Miller, this dramatic course is set apart from any other desert golf experience. Emerald green fairways are etched into golden colored desert grasses, sweeping over constantly changing elevations to flawless bent grass greens. More than three hundred bunkers guard the way, along with lakes, dry desert washes, and strands of desert trees. This course hosts 27-holes of golf. This championship golf course is a breathtaking tribute to the Robert Trent Jones II style: over 150 acres if meticulously maintained bentgrass greens and lush fairways caressing the natural topography, offering incomparable variety, spectacular vistas, and world-class challenge. The design of a skill-challenging course and the preservation of the desert world exist in harmony. Each fairway and putting green accentuates the beauty of the untouched desert. Legend Trail is located at an elevation of more than 3,000 feet, where Saguaro cacti tower over a beautiful and challenging desert-style golf course, Legend Trail is described as the “Desert Gem of the Southwest,” and is challenging enough to be highly memorable, yet natural enough to be relaxing. Each hole winds through forests of Saguaros and Palo Verde trees. This championship Reese Jones layout captures the spirit and soul of the surrounding desert. The Phoenician offers 27-holes of USGA championship golf and features 3 memorable nines, each named for its surrounding landscape - Canyon, Desert and Oasis. Pristine desert views, lush tropical scenery, water features, and all of the amenities that make golf a pleasure, await you during your round at The Phoenician. The Oasis and Desert courses are 12 years old; however the Canyon Course is only 4 years old. Each nine has its own beauty and really leaves you feeling like you played one of the most luxurious courses in the Phoenix area. Pointe Golf Club on Lookout Mountain was designed in 1989 by golf professional and golf course architect Bill Johnston. This beautiful resort layout waves its way through rugged terrain that borders the Phoenix Mountain Preserve and offers spectacular views of both Lookout Mountain and Squaw Peak. This is an exciting golf course for players of all skill levels as it presents the finest characteristics from both desert golf and traditional golf layouts. Hole #10 is the signature hole and has elevation changes over 175 feet. Taking a chance in Arizona with 6,000 pine trees and 45,000 bales of pine straw, golf course designers David Graham and Gary Panks created a golf course reminiscent of their favorite traditional layouts in the Midwest, and it worked out beautifully. The Raven features large greens and forgiving fairways with a network of sand bunkers and grass swells that add beauty and direction to nearly every hole. Raven has been rated #1 for service year after year. They also offer a misting system on all their carts as well as mango scented towels, which are very popular amongst all golfers. SunRidge Canyon’s 18-hole facility descends through one canyon and gently ascends through another in a striking 18-hole loop back to the clubhouse. The creative routing by course architect Keith Foster provides the special touch golfers appreciate in a desert layout-challenge, solitude, and open vistas. The fairways are generous and forgiving with carries over natural terrain kept to a nominal yardage. 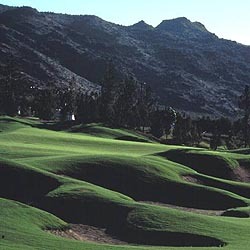 SunRidge Canyon encourages the strong player to balance length with finesse and patience. 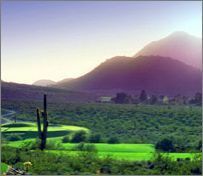 Although both courses are essentially flat, they sit in a position to take in spectacular views of Camelback Mountain, Pinnacle Peak, and the McDowell Mountains in the distance. Credited by the design team of Ben Crenshaw and Bill Coore, The North course is an extremely long but fair test of golf featuring Scottish-style bunkers on what is basically a links layout. The South course, also a Crenshaw/Coore design, has smaller green with bunkers that come into play more, especially around the greens. The Devil’s Claw course nears the Gila River - Mesquite, Saguaro, Palo Verde, and Cottonwood blend with native grasses to recreate the Gila River as it was when the waters still flowed on the reservation. It's design is dominated by gradual elevation changes, multi-tiered greens, and challenging bunker design. The Cattail Course opened in the fall of 2002 and complements the Devil’s Claw. While the Devil's Claw features high mounding and significant fairways elevation changes, its sister course, the Cattail derives its design challenges in the opposite direction, as deep canyons and pristine lakes dictate the design. The Palmer Course, designed by Arnold Palmer, this course utilizes the natural attributes of the land leaving a great idea of the natural desert untouched. Palmer uses this preserved desert to landscape his course with native plants including an abundance of the Saguaro cactus and Palo Verde, Ironwood, and Mesquite trees. The course features generous bent grass greens and sweeping fairways and is exceedingly playable for all ability levels. The Faldo Course, completed in 2002 and designed by Nick Faldo, features a par 71 layout sits on a 174-acre site, and offers a slight variation from typical Sonoran Desert-theme courses. It features generous fairways, large bent grass greens and tee boxes. 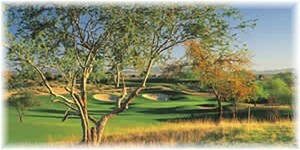 The surrounding mountains and century-old saguaro cacti as well as 106 sand bunkers. Ocotillo is a 27-hole golf course that incorporates seven miles of shoreline with lakes and cascading waterfalls as dominant features. Designed by Ted Robinson; the three 9-hole layouts (Blue, Gold, and White) flow rhythmically from start to finish. The Blue Course is the shortest of the three nines and boasts the most water. However, the White Course hosts long par 4’s which offer the greatest challenge of all. And the Gold is an enjoyable mix of long and short par 4’s with less water. 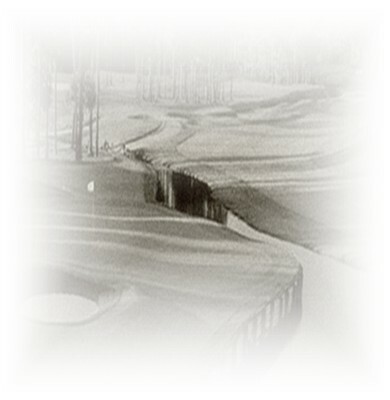 The Gold Course is preferred for beginning and higher-handicap golfers. Ocotillo has the most water holes in the desert – 27-holes of traditional golf with water on 23 holes. One-Bedroom Suite makes any trip more productive and enjoyable. You can spread out and work in the living area with the full desk, data port (available at most locations), voicemail and business services. The kitchen is great for quick snacks. Your bedroom with bath and TV is separate from the rest of the suite...just close the door when working with associates. And you'll rest easy... because the extra space doesn't cost extra. The Hyatt Place Two-Bedroom/Two Bathroom Suite provides a terrific option for anyone traveling together...whether business associates, two trainees or a relocating family. Offering two separate bedrooms, each with its own bath, TV, desk and phone line joined by a common living area and kitchen, this unique suite provides complete privacy and substantial cost savings over the cost of booking two hotel rooms. The above rates include all taxes and resort fees. Please note: Certain blackout dates apply. All guest suites have a sofa-bed. All guest suites offer complimenntary amenities including: Hot buffet breakfast daily, evening social Monday-Thursday from 5:30pm-7:30pm, wireless Internet and full business center. Prices are in US currency and are per-person based on single - quad occupancy, unless otherwise noted. Single Player rate allows 1-2 non-playing guests to stay free in room including breakfast. All prices are subject to availability and change. Taxes and resort fees included. 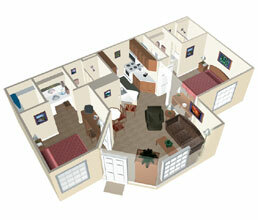 Looking for even larger living area? 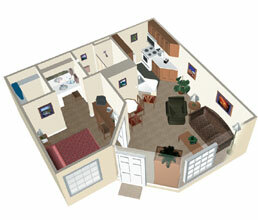 Check out the Millennium Villas for spacious 2-3 bedroom deluxe units with 1489 - 2178 square feet of space!